The word ‘ephemera’ refers to collectable things that were originally expected to have only short-term usefulness or popularity. 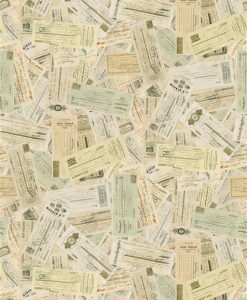 Ephemera covers a wide range of items including leaflets, tickets, stamps, match box covers, playbills, advertising inserts, selections from everyday life and more. 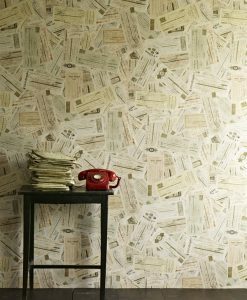 Linwood’s Ephemera wallpaper collection draws inspiration from these items and makes you feel nostalgic for a time or place that you never knew.